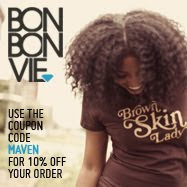 The Moptop Maven.com | The Premier Source For All Things Creative, Fly & Fashionable: Hair Update! Forgive the pic quality, it's super cloudy outside. Last week I had to straighten and trim my hair for a shoot. While it was fun to go straight for a change, I didn't really have time to document the way I detangled, blow-dried, trimmed, or pressed my hair [which I will do in the next few weeks]. A lot of people ask me why I trim so much each time I straighten; the reason is that I started my hair journey with a ton of heat damage, and instead of cutting it all off at one time, I cut it gradually. After this final trim, I think I got rid of all the straight ends. This is the longest my hair has been in my entire life, and I definitely attribute it to limiting the amount of heat used on my hair, and all of the methods/tips/techniques I share on this site. 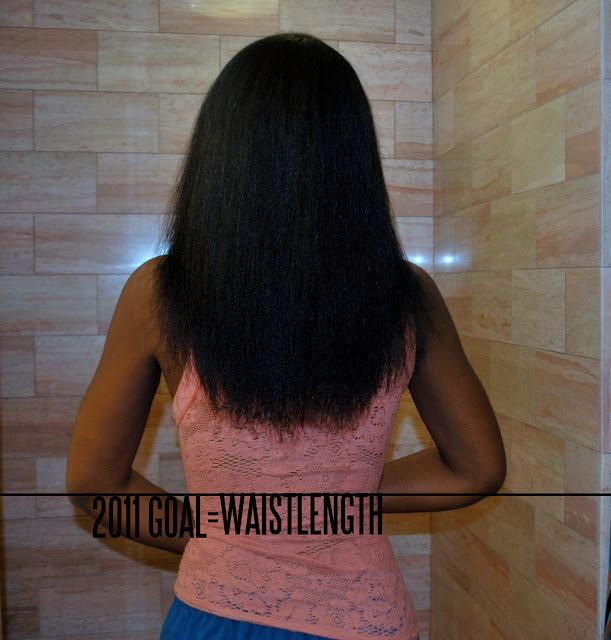 In 2011 I hope to reach my final goal of waist-length. Here's a recap of my hair journey over the past two years. 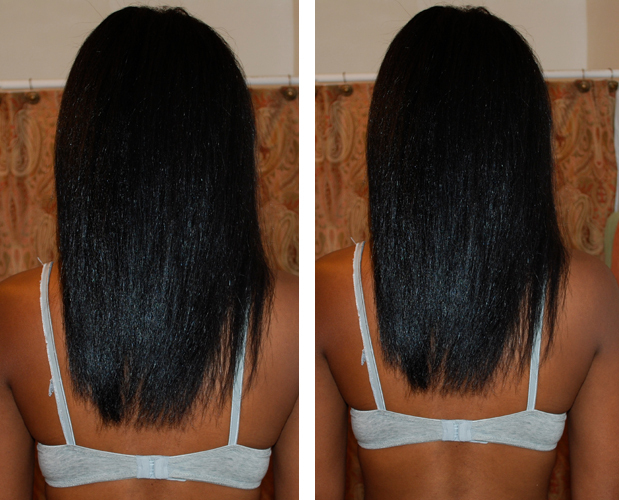 My healthy hair journey started December 2008 with this as my starting picture. As you can see, my hair was barely APL [arm pit length]. My hair at this point was very damaged. The front was breaking off [which is why it appeared layered], I had major breakage around the hairline, and nape area as well. My hair was also very thin due to excessive heat. These were my braid outs in the very beginning [the first few months December 08-March 09]. I always wore them pinned back because my hair was too thin to wear it full. It always appeared sparse and "piece-y" so I just pinned the sides back. I had about 4-5 inches of heat damaged ends, so my ends were super straight. I had to put rollers on the ends of my braids just to get a slight curl. These were my twist outs in August of 09. I was still wearing the sides pinned because my sides were still very short. At that time, Deva Curl products were my fave. Set it Free made my hair very shiny. In September of 2009, I decided to straighten it for Labor Day. My hair is styled in a Caruso Roller Set here. My hair in June 2010 after trimming another few inches to remove the heat damaged ends I started with. I am slightly past Bra Strap Length here. At the end of July 2010, I decided to cut my bangs for a different look. My hair is styled in a twist out here. 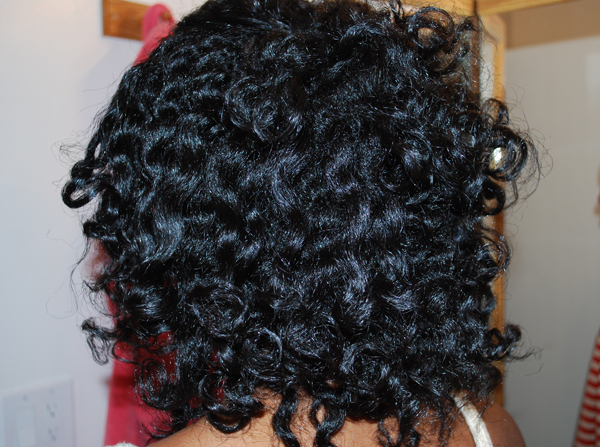 In November 2010 I started experimenting with dry twist outs..
Its nothing like healthy hair. I keep saying that I'm going to do better with my hair. Ii've given me some inspiration to do better. Although, I've been natural for the past 15 yr or long I sometimes take advantage of my naturally curly hair. Again, thanks! Wow your hair looks AMAZING! I'm currently transitioning (just hit my one year mark) and your blog has kept me motivated! I can't wait to see what my hair looks like after I BC and finally do a twist out on all natural hair! When did you notice your hair getting fuller and growing more? Do you think it was because you cut the damaged ends off? I have been following your blog since July 2010 after experiencing some REALLY BAD breakage and heat damage... and Gracias a Dios, I found your blog, Chica!! I have been modeling some of your regimen (Ayuverdic), but my 2011 goal is to completely follow your tips to maintain length and healthy hair. Gracias for sharing this. I forwarded to my Bfriend, who is also trying to have her beautiful curly head back after she experienced a really bad situation with hair stylist!!!! P.S. Please, have this tutotial soon! I am really trying to catch up with this blog. I obviously have been living under a rock until about 2 months ago. Please fill me in on the Caruso Roller Set. I need that in my life! My younger sister is natural and she just called me asking what she should do to her hair for the holidays. I thought the look shown above would be beautiful. Wow. your hair is so lovely. I like the fact that you told us that you were doing a strict Ayurvedic regimen here. I always here you talking about Ayurvedic products, but I don't know where to purchase them. Purchasing online is not an option for me right now. I was going to ask what exactly do they do for the hair... :) but I think I'll save you the trouble and just look it up on your site (b/c I KNOW you've posted it before). Thanks for sharing your journey! Think I found what I needed! thanks for having such a great blog! gorgeous. i trim my hair often, and i always notice how much it grows right after that. You mentioned that you were experiencing major breakage around the hair line and nape area. Please tell me...WHAT'S THE REMEDY? Thanks. Did you ever perm your hair or was it just heat damage that you trimming off? You've come a long way chica, your hair looks SUPER healthy! Great journey. Cool to go on the ride of healthy long hair with you. Your hair is gorgeous. Definitely my inspiration for hair care. 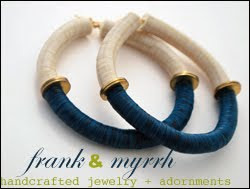 I recently found your blog and am addicted!!! Thank you for posting your hair journey!! You are currently my hair idol!! I love how big and bouncy your curls are. I straightened my hair friday and am so disappointed in how STRAIGHT my hair is! 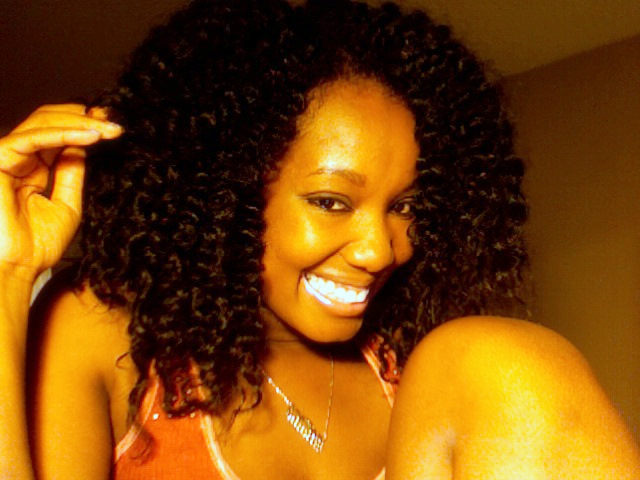 I miss my curls!! Your hair is looking GREAT as always!! You grew back your hair from that layered look in no time. Do you recommend people trimming off damaged hair a little at a time instead of doing one major cut? Also, you claimed that you believe your hair is growing nicely because you barely use heat now....do you think hair can grow as nice for those that use heat often? I press my hair every two weeks (without any heat inbetween), so this is why I ask. Yeah, I know the feeling of expeiencing the journey to healthy hair. I did the big chop almost 5 months ago and my hair is growing so fast like weeds. I'm loving it and so excited at the same time! Can't wait for the next 7 months wehere my hair will be up to. 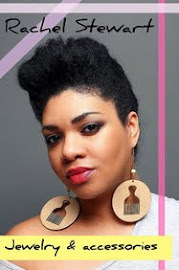 Hey Nikole, I wanted to know if you use/used hair grease (I hear a myth that the petroleum clogs follicles and mask hair strands) during your point of growth and/or now. And if you do/did not, what alternative do you employ or suggest for a female who BC'ed last year and rock braids? It's winter and I usually take them out and rock my coils/curls. My hair is healthy, but my scalp gets dry. I'm indecisive on whether to use 'grease' despite myths, or another alternative, such as oils. I am so inspired, my hair looks exactly like your first picture! Your hair is absolutely GORGEOUS! 2011 my mission is bra strap length healthy thick hair! i know you said you rocked braids up until you were about armpit length...how long/healthy was your hair when you first went natural? and how long did it take to get it armpit length? You have the most beautiful head of hair I've ever seen! Truly one of hair idols and you have made awesome progress over the last two years! Thanks for sharing your tips and your journey! Love your blog, lovely! Very inspiring! I am aiming to get to APL for next year. I look forward to your tips for 2011. WOW your hair looks so nice & healthy...I definitely need to follow all the tips on your site (and not just read them) so my hair can get to that point. I just discovered your blog a few months ago too and I am absolutely inspired. Thanks for all your efforts to put together such insightful product reviews and the beautiful photography. I have the caruso rollers. I need to try them on natural hair. I wonder if I have to blow my hair out 1st? I love big hair. Your hair is a healthy reminder to us women in the natural hair community that with some TLC we can have healthy beautiful hair. Thank you for sharing all your inside tips, trials and tribulations. I so need to get on those Caruso rollers. Do they work best ONLY on all natural hair? I am still transitioning at 7 months but have already cut off majority of my relaxed ends. I currently am sporting a curly big fro and am loving it. The amount of growth I've had still surpises me. Merry Christmas and Happy New Year to you and your family! I BCed in the summer and never used heat, but my TWA still has a few straight pieces. This post shows a nice progression and is another motivation for me to keep growing out my hair. Ok, now I want to throw away all my scissors and learn how to rock a twist out. It's not a good look for me since my hair is so short (barely shoulder length thanks to my last "trim". My girlfriend is planning to change her hairstyle for next year, and she's still undecided on what 'do she's going to have. To help, I'm going to show this post to her before she goes to her favorite Santa Monica hair salons. I'm not gonna love her any less whatever hairstyle she wears, so I'm just going to support her all the way. 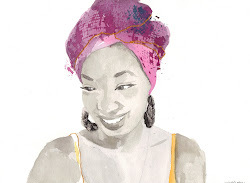 Thanks so much for all the work you put into the blog, Nikole! I read it daily and you are definitely one of my hair/beauty/attitude/lifestyle role models! My 2011 goal is to follow your Ayurvedic hair regimine. I have been natural for seven years but just started my true HHJ in August. Also, I am really looking forward to your upcoming post on how you straighten your hair. Here's hoping to reach APL in 2011! Hi, I just want you to know that i love your blog. Im a high school junior and i started following your blog about a year ago and i just wanted to say thank you. I've always wanted longer hair and im still working for that goal. Looking at your beautiful photos has encouraged me to continue not using a lot of heat on my hair. My journey hasnt been easy because i always have my classmates asking me why is my hair like that or why do you wear your hair like that or you look so much better with straight hair(mainly the guys tell me this).Even my parents are always like when are you going to get your hair done? Thank you for giving me the courage to be and stay natural. 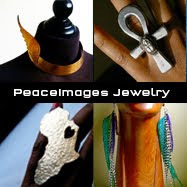 I hope that soon with the Christmas money i get i can purchase some of the products that you suggest on your site. Thanks again!!! Stay Beautiful!!! Love this Nik!! OMG can you say hair envy? 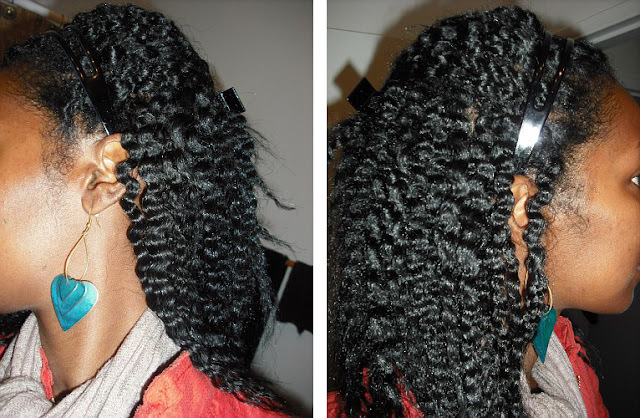 Those strands are gorge, and this update is such an inspiration for a new natural like me. Keep doing what you're doing! I'm still waiting on a tut for the caruso set! How do you maintain that look at night? 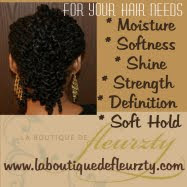 Do you pin curl? I absolutely LOVE your hair in the caruso set! Please share how you achieve this look. I think many of us are patiently waiting :-) Thank you so much for all the information on this blog. Has any one or anybody received or heard anything from Nikole? ?